PennsylvAsia: Picnic with visiting Saitama delegation, July 25. 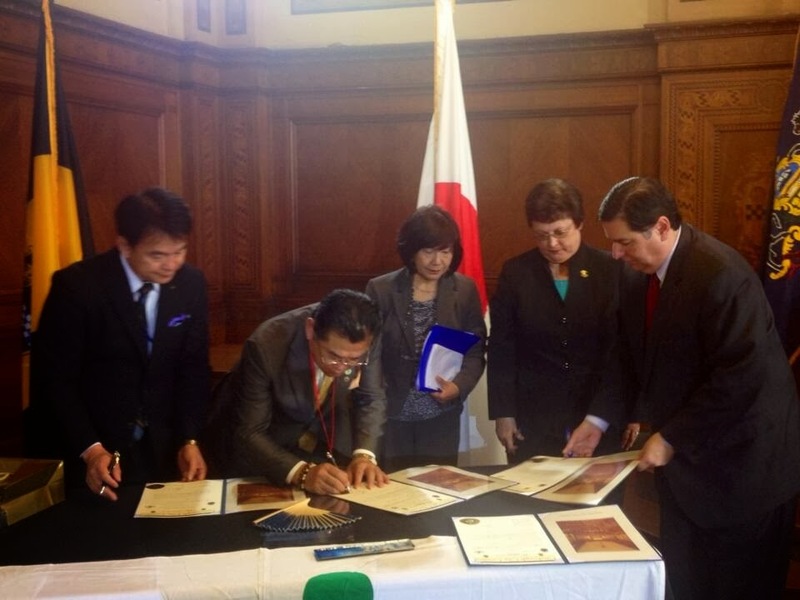 "15 yr Sister City dedication w/ Saitama Mayor Shizmu & Chairman Hagiwara in Pittsburgh Council Chambers" - @billpeduto in 2013. The Pittsburgh Saitama Sister City Committee is holding a picnic for a visiting delegation from Saitama on July 25 at North Park.